Making your products appear fascinating and positively separated from the voluminous alternatives available in the market is something quite challenging. However, with a new creative approach or experimentation, you can pull in more people by grabbing their eye balls. Product design illustration when done properly and pragmatically can bestow upon your business the novel look needed. However, the depressing fact is that hiring an illustrator in-house is not a financially viable option for small businesses and even the mid-sized ones. PGBS is your strategic partner to associate with confidently if you are encountering a need for perfect product illustrations. To create quality illustrations, it needs a mind of innovation and intellects. With us, with have well qualified and highly insightful vector experts who are technically as well as artistically inclined. With years of experience, product illustrators with us are capable of illustrating 2D as well as 3D. We equip themselves with regular advanced training to keep them ahead of others in the industry. Thus, when you rely on our expertise and communicate your ideas to us, we will unfailingly and excellently transform your ideas into reality. Our team has worked with many types of businesses among which publishing houses, advertisement companies, web development firms, branding agencies and event management companies are a just a few; there are in fact uncountable niches to which we have offered our services. Understanding that not all business can afford the same pricing criteria, we provide hourly pricing for small firms and to large ones, we avail full-time assistance. Whatever need you have from our illustrators, we are ready to shoulder the responsibility. 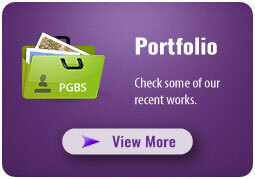 We work in association with you for all types of your illustration requirements. If creativity and technology can make it happen, we are capable to do it for you. Some of the most preferred ones among our customers are detailed below. Highlight product features through inventive digital product illustration is our mastery. The feature thus highlighted can then be used for your marketing material, brochure, website, packages etc. We are practiced to project the most important information related to your product in a visually graceful and compelling manner. With prudent Infographics, we organize entire information using properly aligned visual content. The elements are made to flow in such a manner that the whole information is consumed by the prospects without being overly dragged to it. Process flow directions are presented in most comprehensible manner through the user manual illustrations we ingeniously create. Even the most complex instructions are communicated easily through our various illustration styles. Whatever part of the user manual needs visual components, we can illustrate. Your marketing efforts gain better momentum with the best product illustration that we provide. Our experts create realistic and interesting illustrations that can help your products to get noted and appreciated. People with us are not mere technical experts but they are also brimmed with creative thoughts. At times, your messages may be complicated but we simplify it to make it easily understandable. We don’t visually assault the viewer; our illustrations are a treat for eyes. There is nothing impossible for us. We can definitely accomplish the task. Work is delivered on agreed time and in most of the cases, even before that. Have a great idea stuck in your mind failing to materialize? Our illustration services is what you need. We have handled toughest of tasks in tightest of deadlines. Leverage our talent to take your business to the next level. We are available round the clock.